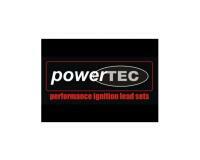 Poweretec is a company who specialises in producing ignition lead sets. They offer a wide range of ignition lead sets to cover OE sets in Europe. The range of cables Powertec manufacture can have a Kevlar core, copper core or Sport/racing style conductor. The Green Spark Plug Company and Powertec. The Green Spark Plug Company stock the most popular Powertec ignition sets. These include cables with a Kevlar core, copper core and OE Direct Replacement sets. You can buy Powertec products through our website or we are available for telephone enquiries and orders.